Hello Glamazons! It is SPRING, and there are SO MANY things I’m LOVING right now!!! Check these beauties out; you might find something you love too! I am having a blast dressing this bump! Don’t get me wrong, I have to work at keeping myself healthy and fit, but that’s part of the joy too! Eating right, exercising the right amount, and enjoying every second of it! It’s an indescribable blessing to go through this experience. As far as the fashion goes: Sporty, casual, dressy glam…I love it ALL!!! Draw inspiration from these pics for how to throw your own ensemble together! A fierce jacket with some Nike hi tops for a sporty chic day? I think YES! Leave your blouse open with a plain tank and and wear a cute hat + statement jewelry…unexpected and so fun! All of these outfit details can be found on my daily Instagram! Go to @sara_hodge, and find out where you can get these threads! For example, my favorite black moto jacket and the blush pink blouse are both Forever 21! Can you believe it? So inexpensive, but they look high end! 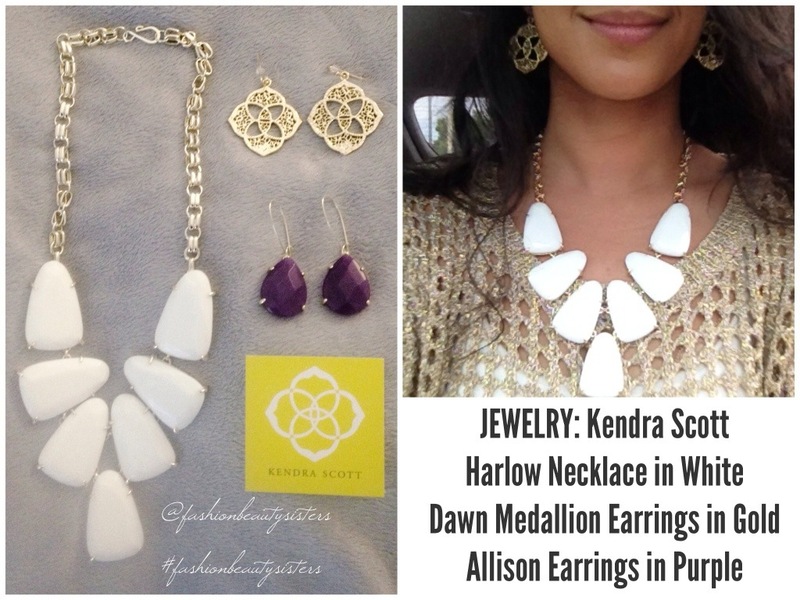 Jewelry, shoes, accessories, leggings and more! Hello, Gorgeous! These are some fab finds right now, that you can ROCK ROCK ROCK! I’m loving staying on my nail game! It’s been my fun treat during pregnancy. Try a FIERCE white and gold combo this spring!!! 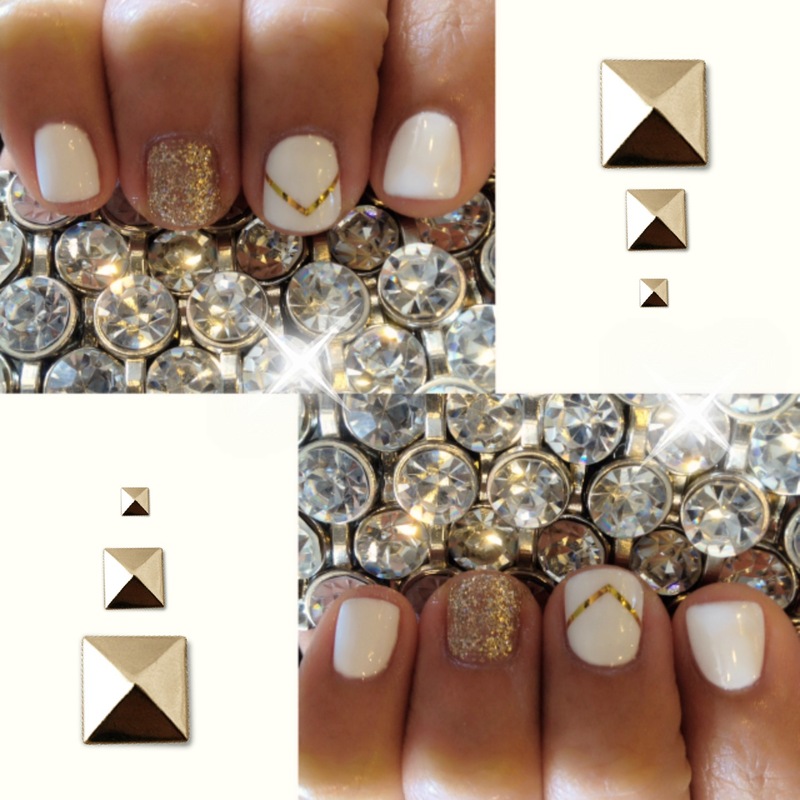 I did a party nail + a chevron nail to dress this up…and I love how fun it is! If you love that glammed up light pink nail polish, you can get it. It’s “Mod About You” by OPI! 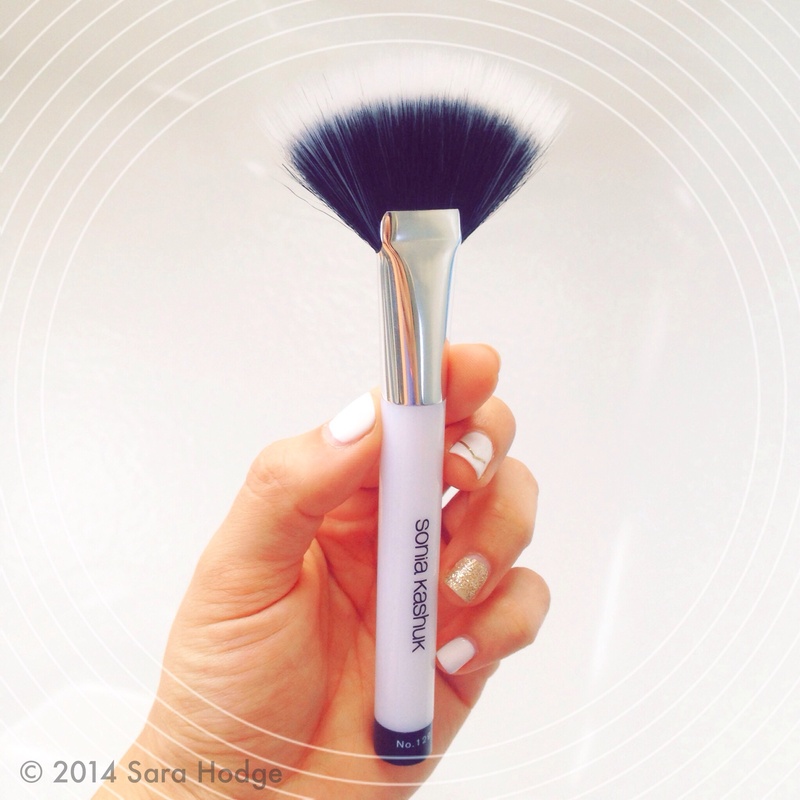 LOVE LOVE LOVE this Sonia Kashuk Fan Brush (link here)!!! It’s the best $8.00 make up brush around, and a steal at that price! It’s fine fibered, and lightweight. Since it’s not thick and heavy, it distributes the perfectly faint amount of highlighter and shimmer to the highest part of my cheekbones. I LOVE IT! If you follow my daily Instagram, you’ve already seen this FABULOUS highlighting chunky brow pencil by Anastasia of Beverly Hills (link here). IT’S FANTASTIC!! The matte end PERFECTLY highlights my brow bone, and the shimmer side I actually use as a little accent on my inner lid and inner waterline. Diva Lipstick by Mac (link here)! Utilizing bright lipstick to channel my spring vibes isn’t the only reason for this amazing shade of rouge…it makes my teeth look whiter!!! Being pregnant is the best thing ever! BUT there are certain beauty products I can’t use during this time, for health purposes of course. I can’t whiten my teeth! I love having a bright smile, but right now, I can’t use the Crest White Strips that I love. 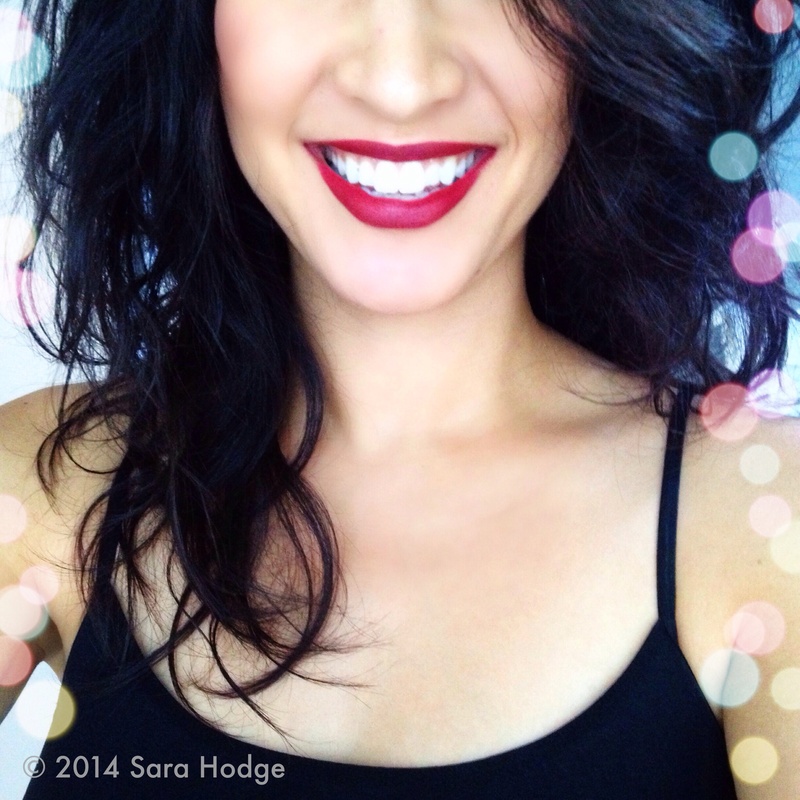 Since wearing a bright lip makes your teeth look whiter, I’m taking advantage of it! This pic has NO EDITING ON MY TEETH! NO FILTER! This is truly how they look with this lipstick! If you go heavier handed with this lipstick, it can go do a really beautiful, deep oxblood color, but I like to wear it a little brighter. If you want another great RED by MAC, I love Russian Red (link here). Ahhhhhh! That’s my excitement for these GORGEOUS, incredible purses! Ju-Ju-Be has been on the scene for a while, but this company just took their product from diaper bag functionality to glamorous FABULOSITY! Yes, you heard me right: diaper bags! Hey, I’m becoming a mom, I need solutions for all of the “fun” things I need to tote around. The Legacy Line has the most functional, loaded-with-pockets, machine washable, products…and the list of benefits and features goes on and on! I’m not exaggerating! Can we all just swoon over the fabulous gold hardware on the purses? I’m OBSESSED! My favorite print is the black and white stripe called “First Lady” (hello?! so chic!!! )… and I love the smaller bags to carry inside the bigger one. Shop the line HERE (link). Finally, a company that has married function with fashion..thank you Ju-Ju-Be! A great solution for moms like me! I love not having to sacrifice style for the daily routine. We need more like this in the future! Keep it up! Yes, I love the bags so much that you get 2 pics! 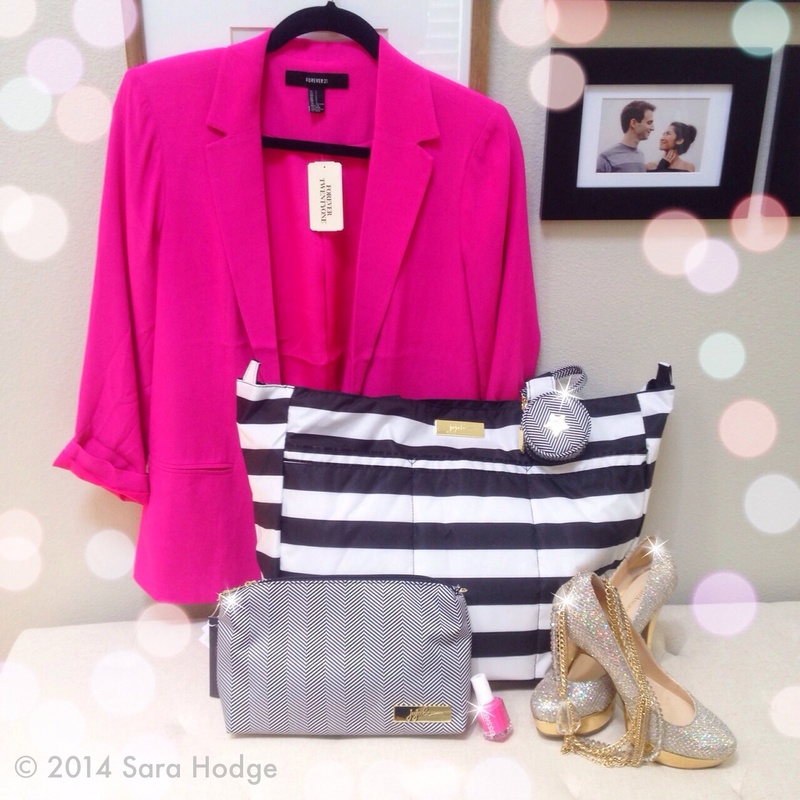 If you follow me on Instagram @sara_hodge, you might have seen my blazer post! I picked the HOT PINK one (link here)! Thanks for all your help Glamazons! My thoughtful, and awesome-gift-giving in-laws got me these PERFECT Kendra Scott Skylar Earrings in neon pink (link here) for my bday! I’ve been waiting ’til now to post them, and I love them! They match with so many things in my closet, and they are too fun! Also! If you’re a pen-to-paper kind of girl (like me), and you love keeping an organized schedule and life, this is FOR YOU! 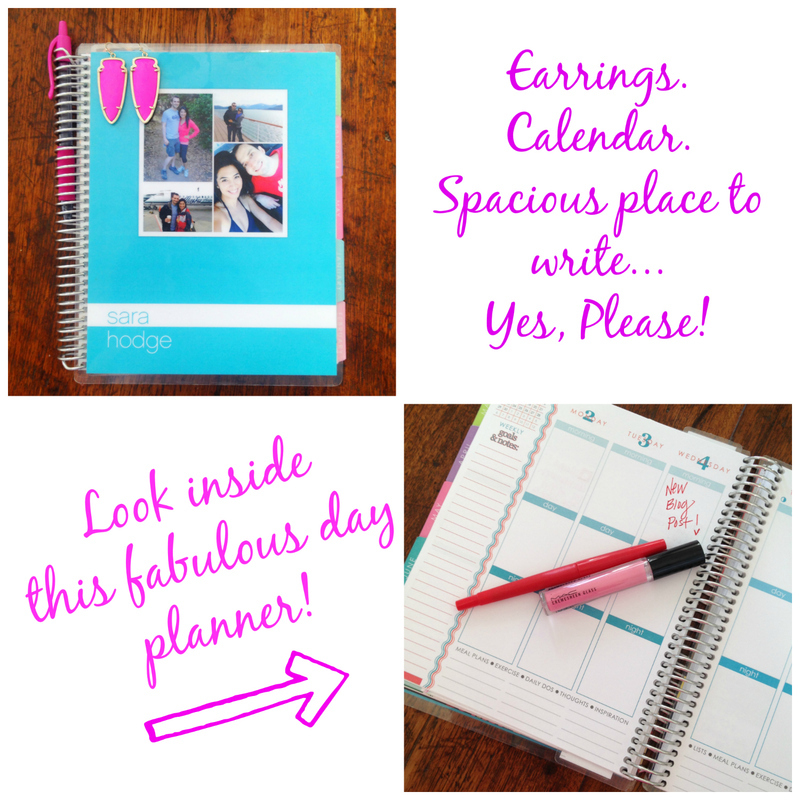 I can’t take credit for finding the Erin Condren Life Planner (link here) – one of my best gal pals, Rachel, introduced me to this super hero of all planners a couple years ago. I’m hooked! It’s worth EVERY PENNY! Tons of space, sections, and lots of fun features. Check them out online. They are coming back in stock next month; don’t miss out! I got mine this year in Tiffany Blue! 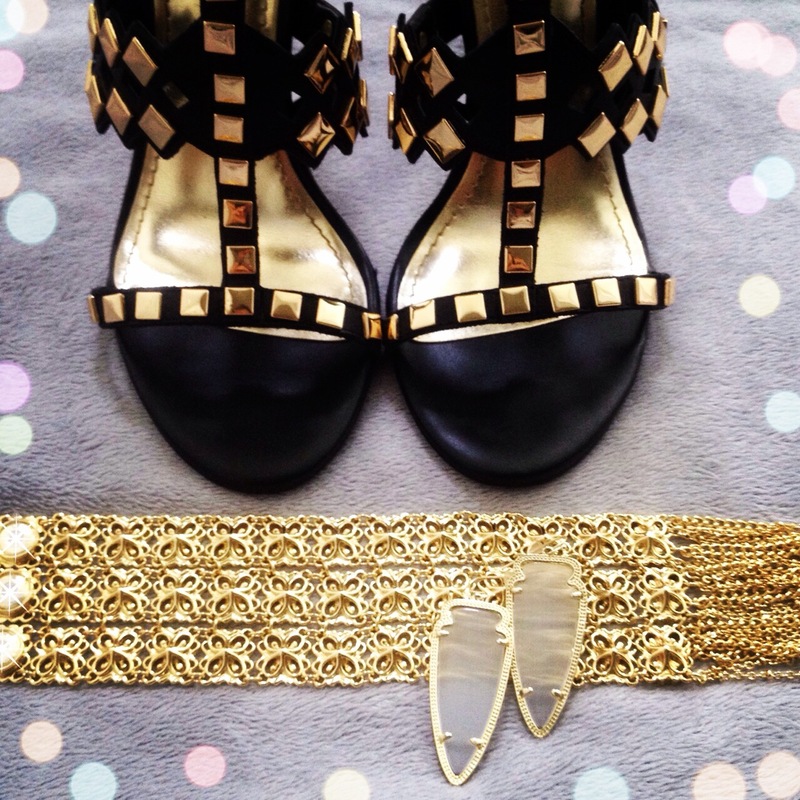 The accessories I wore in my glam outfit above! 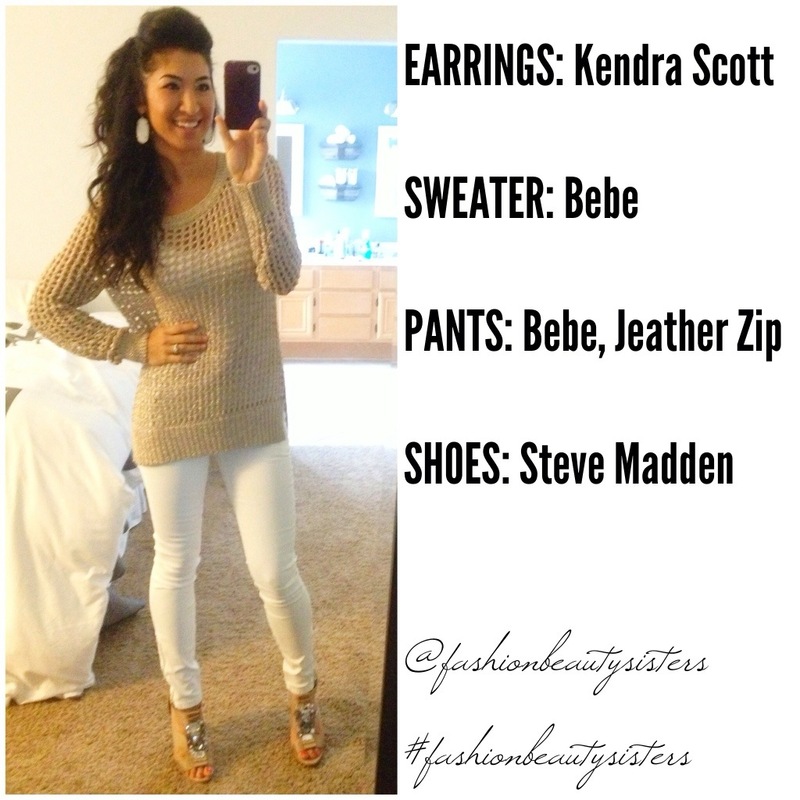 The heels are Guess, and the jewelry, of course, is Kendra Scott! The gorgeous Ivy Bracelet in gold was also a birthday treat…beautiful! Bracelet link here, and earrings here. Another double product picture for you, because this wrap bracelet is TOO AMAZING for anything less! This is my second custom wrap bracelet by Mrs. Hipp Designs. You can follow and order actually on her Facebook or Instagram. She makes extremely high quality wraps, and pictured here is NATURAL LEATHER! The bead work is gorgeous, and I can wear at different lengths. So many different colors and options; you’ve got to check it out. Believe it or not, even though this style bracelet can retail upwards of $240.00… This designer sells them for $40.00+. Talk about a great GIFT to give yourself or a friend! Support local businesses; I love this one! I hope you all have an incredible weekend filled with love, laughter and family! Remember, you smile is always your best accessory! 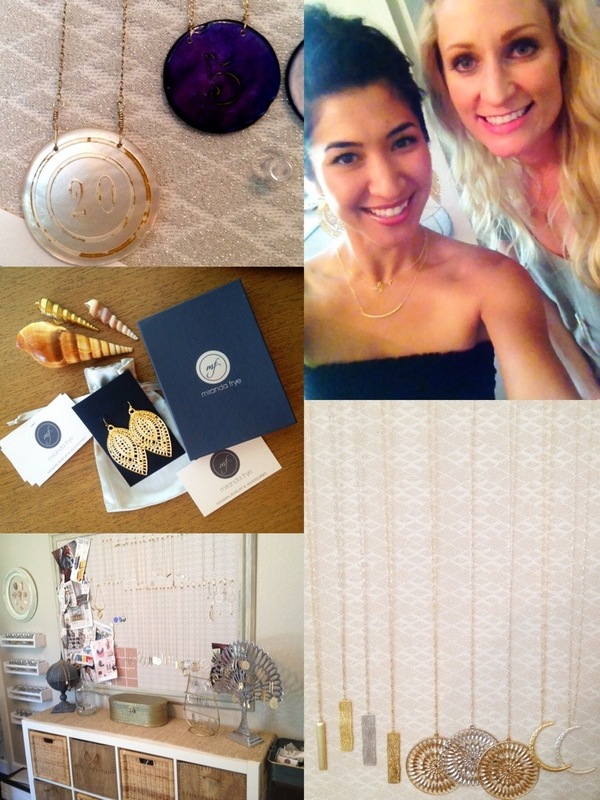 I had the honor of meeting jewelry designer Miranda Frye at her beautiful studio- not only is her studio beautiful but she is too!!! I wanted to post a couple pics of her jewels, but that won’t do it justice- so you get lots of fun details in this post! 1. 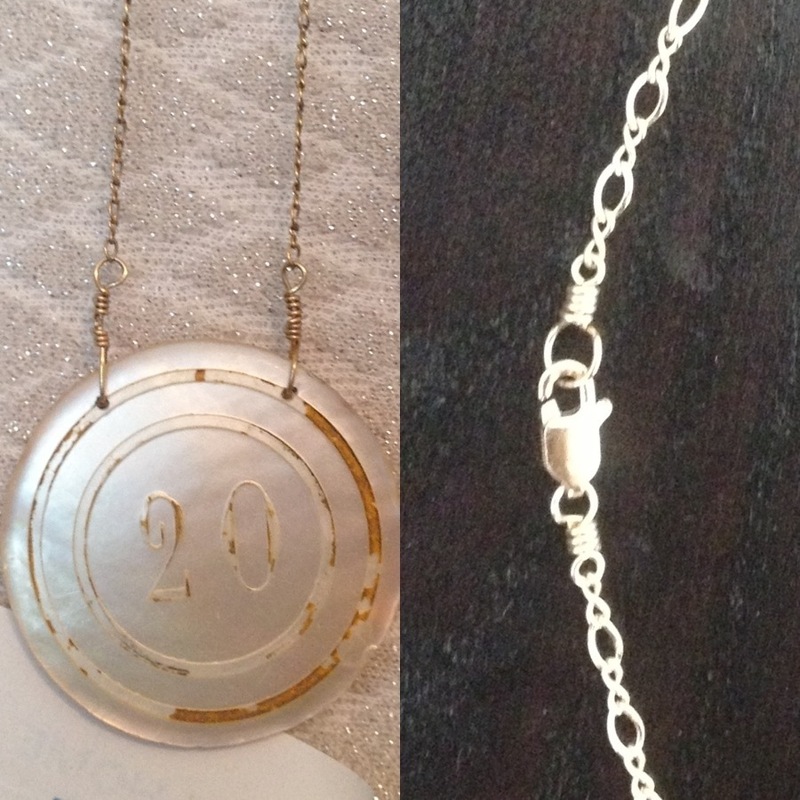 Miranda Frye Jewelry is LITERALLY featherweight. It is so lightweight, sometimes I check myself to make sure it’s still on! In a world of heavy jewelry, this is a life-saver! 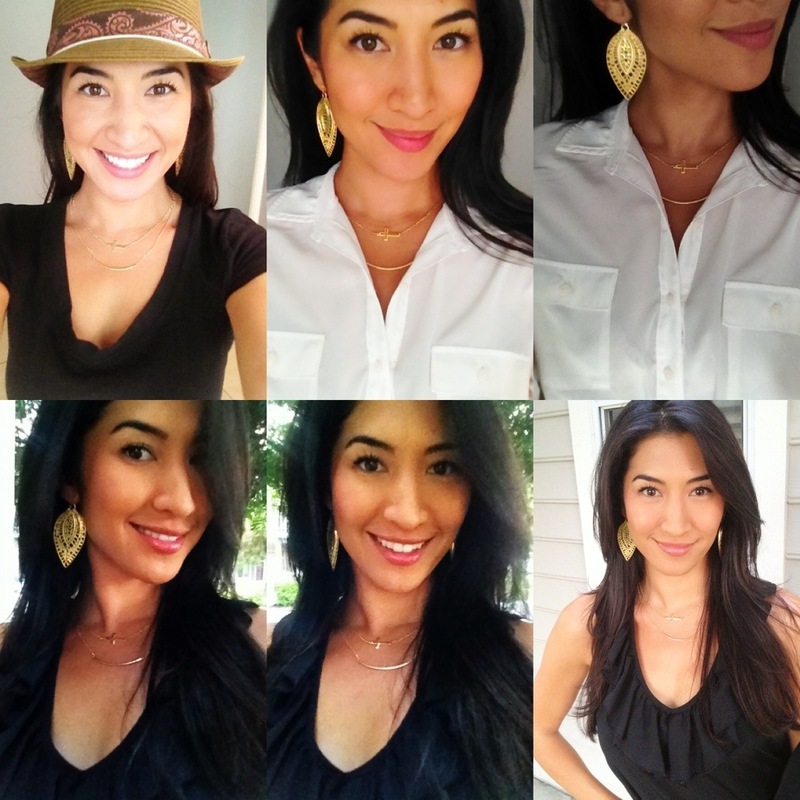 I’m wearing the Pointed Paisley Earrings, the Sideways Cross Necklace and the Arch Necklace. 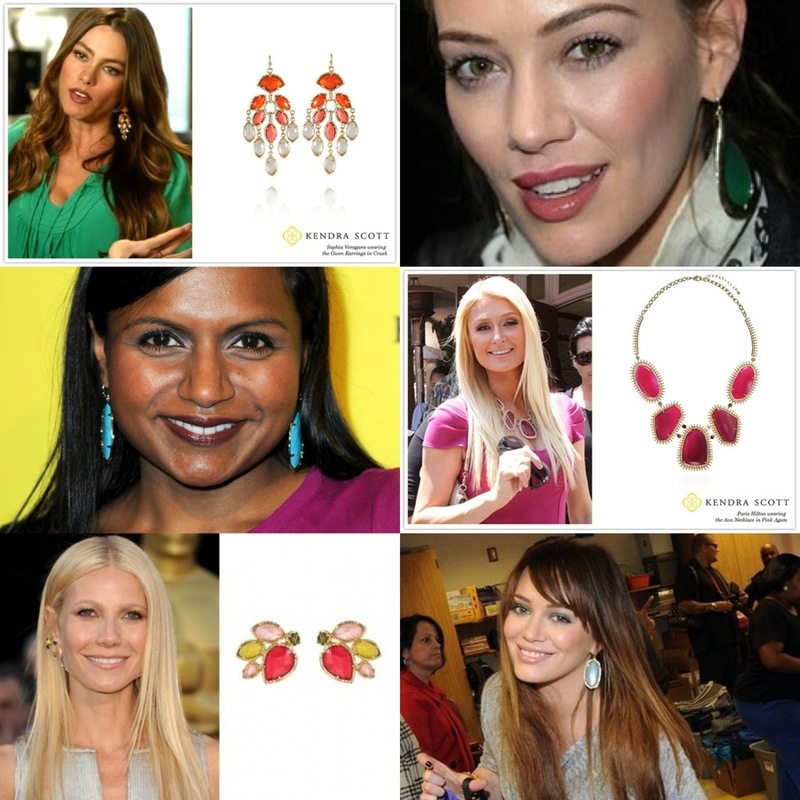 These gorgeous celebs are all wearing dainty necklaces, and modern bohemian earrings. Their pieces cost up to $1,500.00. You can get all similar looks on Miranda Frye’s website for a lot less than these celebs’ price points!!! Happy Shopping!!! 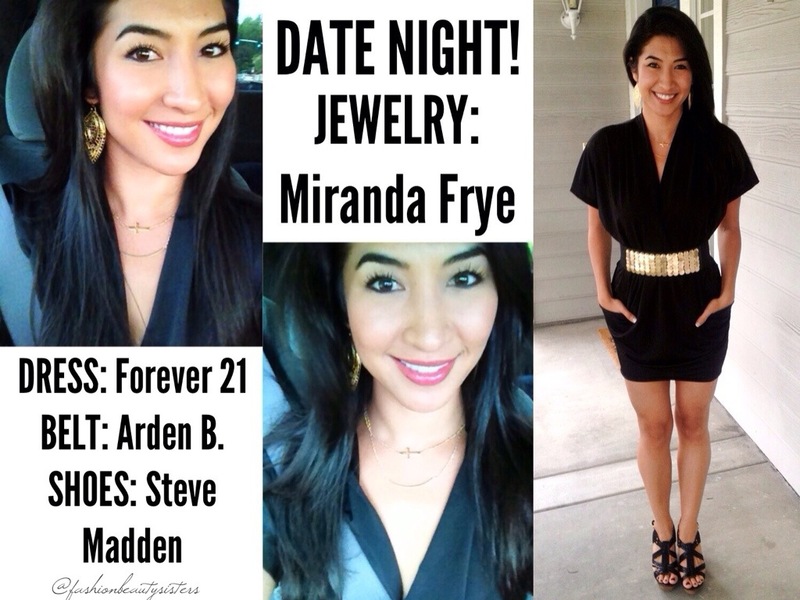 Be sure to follow @fashionbeautysisters on Instagram for a Miranda Frye giveaway later this week! 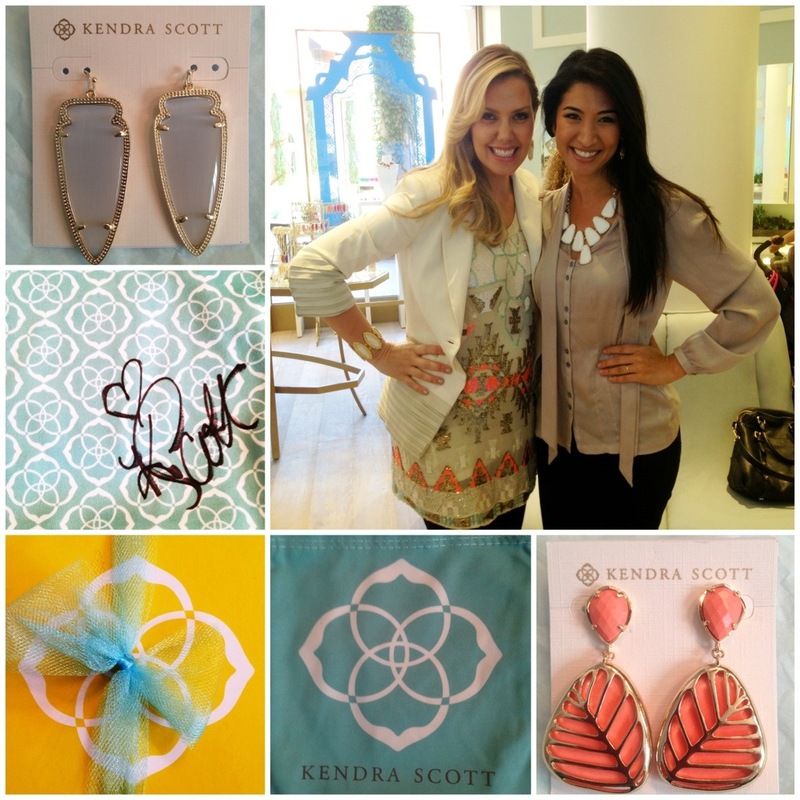 Meeting Jewelry Designer Kendra Scott!!! 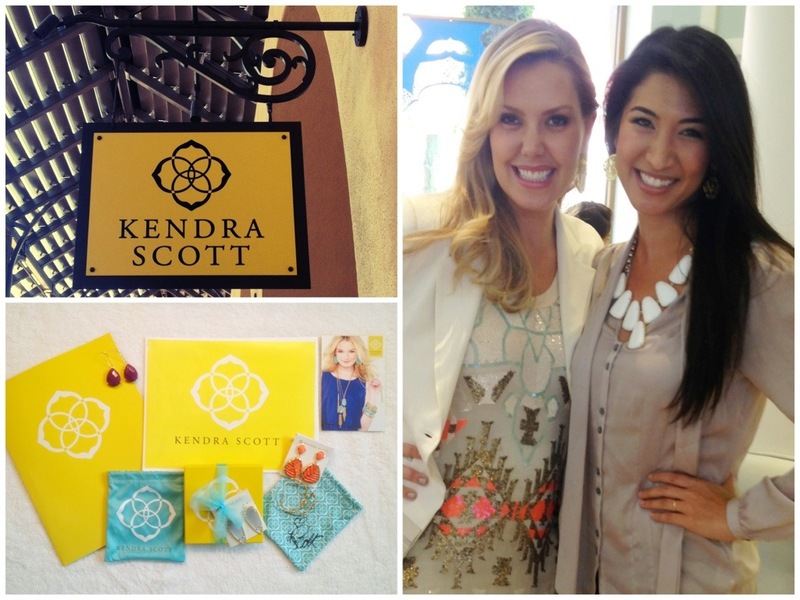 I GOT TO MEET AND CHAT WITH KENDRA SCOTT! Yes, she IS this gorgeous in person (actually even prettier), yes, she is extremely kind and gracious, and YES of course I left with new earrings! It was an honor to be invited to meet her. 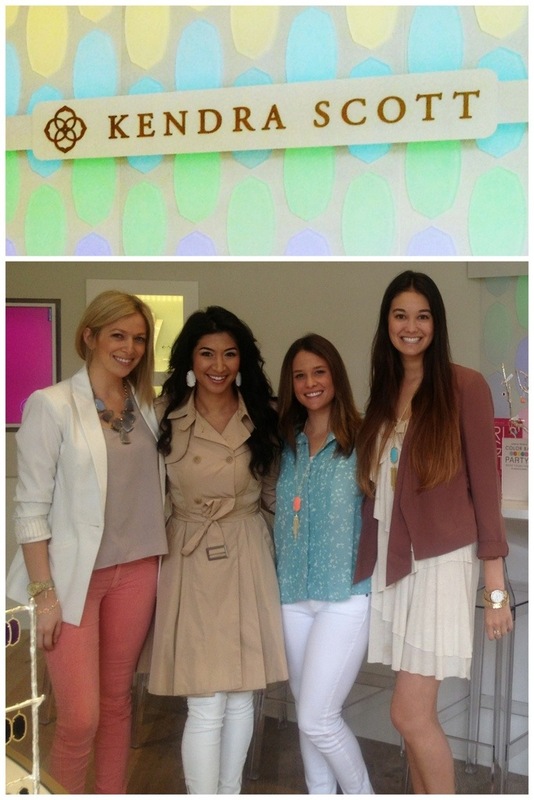 Kendra’s ENTIRE staff at headquarters (Austin, TX) saw, read and loved the blog post I wrote about her store opening. In case you missed my writing and photos about her Newport Beach store opening last week, click HERE. Below: Upper-left, Sky Earrings in Slate // Bottom-Right, Stella Earrings in Coral // Upper-Right, Kendra and Me! Sky will be posted with a rocker vibe outfit soon. You’ll have to wait until May for Stella because I plan to wear those to an event, which I will post then. I’m excited to wear those coral beauties! 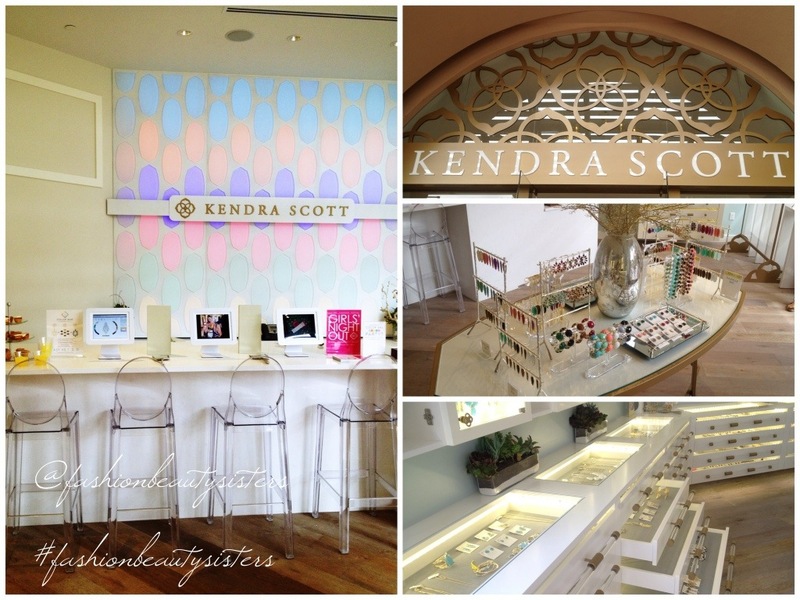 Kendra Scott’s business philosophy is “Family, Fashion & Philanthropy” and her jewelry is worn by countless celebs like Sofia Vergara, Hillary Duff, Cameron Diaz, Eva Longoria and more. 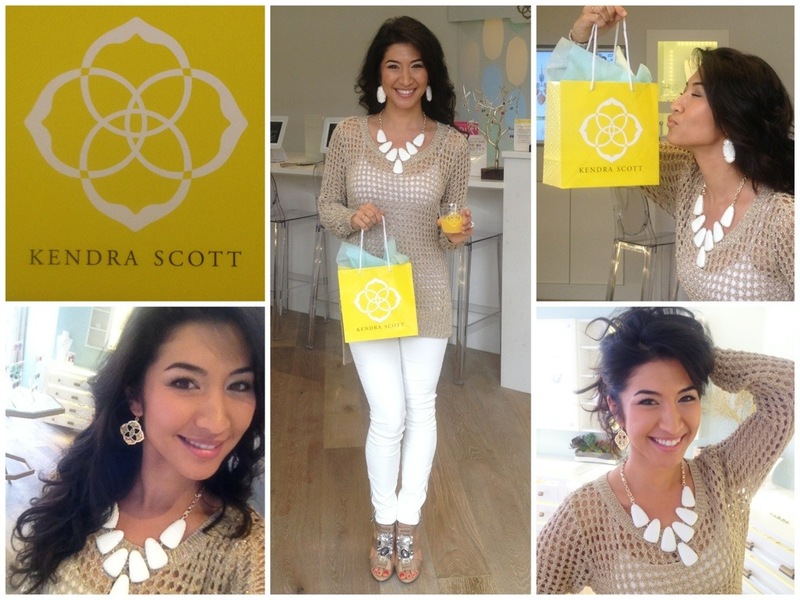 She has a multi-million dollar business that started with just $500 to launch a mini jewelry collection. She’s amazing, and her stores are too! Keep it here with Fashion. Beauty. Sisters.